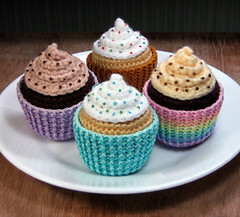 Little Big Projects: My Crocheted Cupcakes in a Magazine! My Crocheted Cupcakes in a Magazine! Yay Zu! Thank you so much! These look so yummy! I want to jump into the Internet and enjoy a bite.